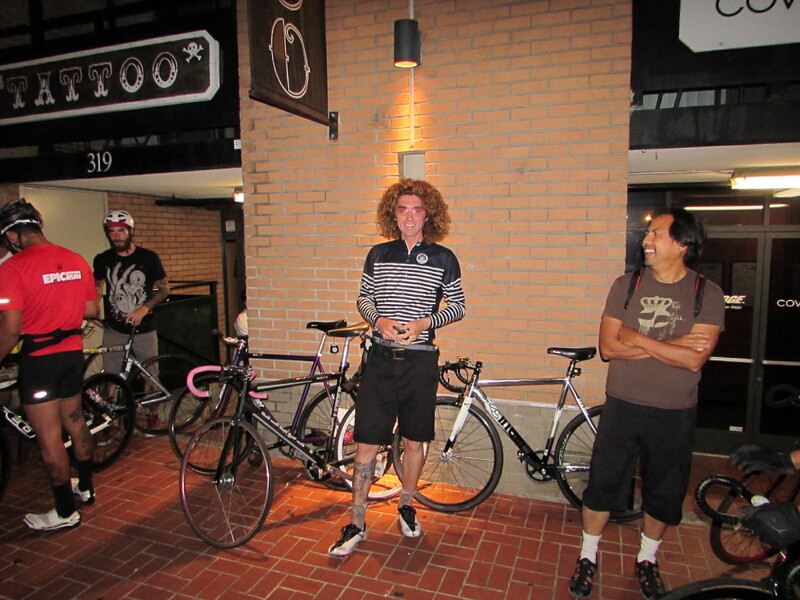 Hammered it tonight with the fast fixie crowd, from downtown, through Point Loma and Pacific Beach on Bojac’s monthly K.I.S.S. ride. There are some pretty fast riders and good athletes in the group. Mark Caporale got a KOM going up the Cañon climb in Point Loma. Sergio Soto got 2nd out of 1241 riders on a 5.5 km section of Pacific Highway. One of the riders, Todd Smithson, runs ultra marathons (50 & 100 miles). A dozen of us kept up pretty well near the front, and kept it moving pretty fast. Strava says I burned 1200 calories on the ride, but it felt like more. That’s me on the right, feeling great, and within 10kg of goal.